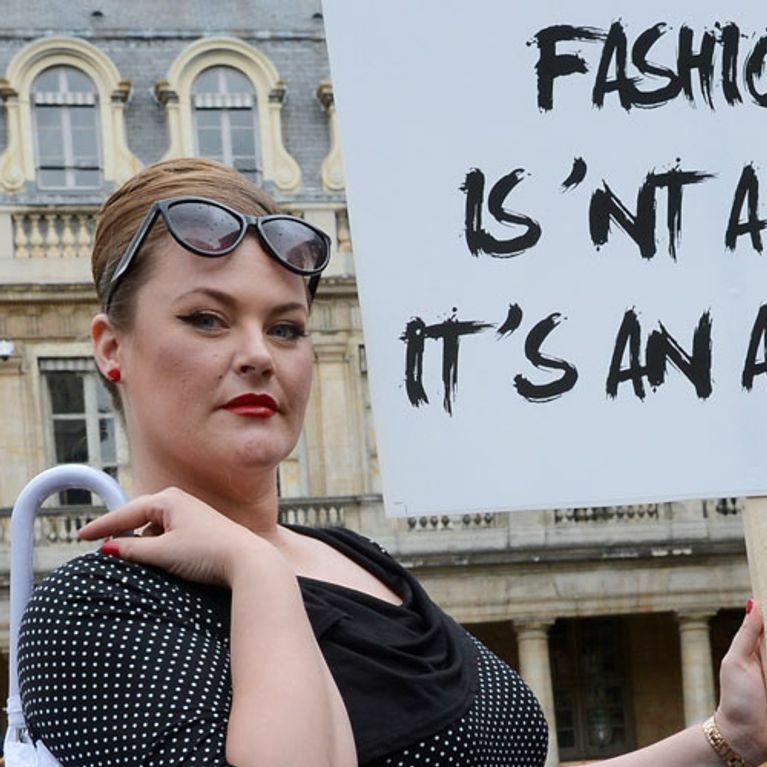 It pains us to even type out the fact that modeling agencies consider sizes above an 8 to be "plus size," but they do. After the Victoria's Secret "Perfect Body" campaign blew up, other labels have come out to make it clear that they design clothes for women of all sizes. News flash: not everybody in the world is a size 4. Check out what model Myla Dalbesio has to say about her weight and being added to the Calvin Klein campaign. You may or may not remember that Victoria's Secret had the brilliant idea to launch the "Perfect Body" campaign using pictures of size 0 models in lingerie. Unless it is your full time job to count calories and stand in front of a camera in your undies you are probably not a size 0 with the abs of a crossfit champion. "I love that after working in the fashion industry for nine years, I have finally found my place, right in the middle. Neither plus, nor straight size, I love that I can be recognised for what I am, a healthy size 14. I love that as the conversation on the internet explodes and brings greater awareness, I am receiving emails from 15 year-old girls, telling me that I have given them hope and that sharing my story has made them feel less freakish, less weird, and that they can accept their size 12 or 14 frame." "I love that I get to be a part of this conversation, about size and body image and that I get to represent a brand like Calvin Klein. They didn't introduce this campaign for shock value, they simply included what some would refer to as a 'normal size' girl in their advertising, right next to other girls of varying sizes and shapes. I love that by opening this discussion, I can also (hopefully) open some doors for other models, friends of mine, that have always straddled the line between straight size and plus. True body diversity doesn't mean only sizes 4's and 6's then jumping to size 20 and up. There is a middle ground." "The new Calvin Klein Underwear Perfectly Fit imagery features models Myla Dalbesio, Jourdan Dunn, Amanda Wellsh, Ji Hye Park and the face of the brand, Lara Stone, in several styles. The Perfectly Fit line was created to celebrate and cater to the needs of different women, and these images are intended to communicate that our new line is more inclusive and available in several silhouettes in an extensive range of sizes." Well we think girlfriend looks PHENOM and is a necessary addition to Calvin Klein's campaign. They might want to send Victoria's Secret a memo that "perfect fit" does not mean "size 0 fits all." Why Allison Williams Is Spot On About "College Weight"